Will it have anything to do with bean curd? Resident Evil: The Mercenaries 3D might not be the full Resident Evil experience that Resident Evil Revelations will be, but producer Masachika Kawata assures us that fans of the series won't be disappointed with the unlockables that Capcom has planned. We'd most likely have the usual thing - an all-time favourite of Resident Evil fans. We like working on that so we are looking forward to it! As a separate entry into the series that's based on the Mercenaries mode in Resident Evil 4 and Resident Evil 5 on the Playstation 3 and Xbox 360, Resident Evil: The Mercenaries 3D will feature Chris Redfield and his sister Claire Redfield, Krauser, and Hunk as playable characters as gamers blast their way through timed-stages, defeating as many enemies as they can whilst racking up a high score. To see how it's shaping up, be sure to read our First Impressions of the game when we gave it a spin back in January. As for the final product, will there be additional characters to unlock? Perhaps the Tofu mode from Resident Evil 2 will make a return, or something more contemporary like a first-person story mode? As the Tofu mode is quite similar to the Mercenaries game structure, maybe Kawata has something else in mind? What fan-favourite feature would you like to see? 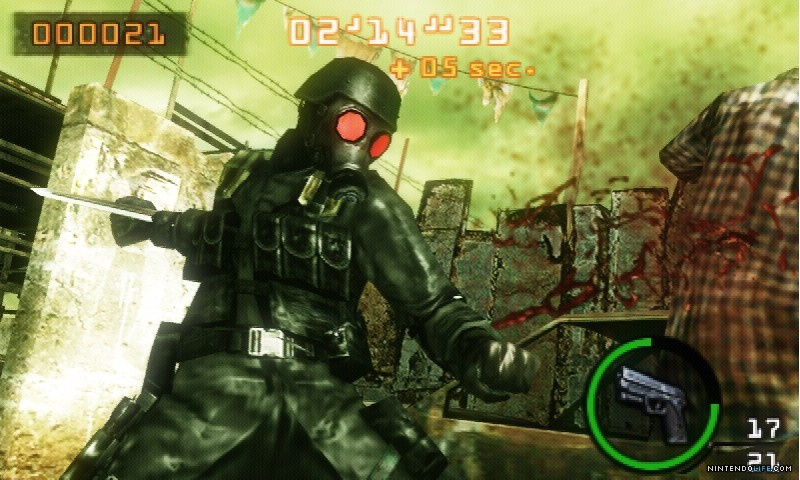 I would like to see a hard mode in the game, and the FPS shooter story mode would be nice and hopefully more unlockable characters in the game like Leon, Ada, Jill, and Wesker. Shouldn't the first line read: "Resident Evil: The Mercenaries 3D might not be the full Resident Evil experience that Resident Evil Revelations will be..."? nemesis would be a great playable character. i don't know what else he'd be hinting at, but that's probably not it. As I'm reading the article, all I have on my mind is "Jill sandwich." I'm hoping a Tofu mode will be included in the Revelations game instead, but I wouldn't be surprised if this is what Kawata is talking about regarding Mercenaries. Ark Thompson confirmed for RE: Mercs 3D! Berry better be in it. More unlockable character would be fine for me, as just four characters at the moment on a (most likely) one- or two- gig cart of a full game wouldn't be that great of a deal, even though it has stuff from both RE4 and RE5. Tofu mode would be pretty cool too. This'll probably be my first RE game. Though when I played Dead Rising. I just could not get the over the shoulder thingy down. First of all, Xkhaoz 3D, DEAD RISING'S shooting mechanic was a poor imitation of RE4's. Secondly I am a Mercenaries addict so I am super psyched about this game. Please give me Barry as an unlockable character and maybe a Zombie Mode where you jump to different zombies trying to hunt down your friend over WiFi. That would make me happy. Also, some cut-scenes and some sort of story could be done to give the one player experience some dramatic flair. the shop keeper from re4 got something that might interest ya kablaam.. Here's hoping for a playable Ada Wong. Albert Wesker would be cool to. The ability to play as Tofu would be nice. It is capcom, so...mega man? Would def like to see some Frank West, and maybe some of the other secondary modes from other games as well. Like the leech collection mode from Zero, not sure what it was called. What the hell is first person story mode? Leon, Ada and Wesker must be there! Stages from from RE 1-3 could be cool too, if that's even possible! Yeah, and give us some Tofu to digest too It's been so long since RE2!